The HeatSeal Ultima 65 Roll Laminator from Swingline GBC is the choice for you if speedy heavy-duty lamination is required in-house.It features a wide 27-inch tabletop design which is convenient for a number of purposes. 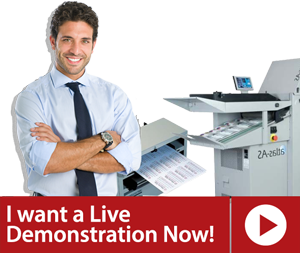 With this GBC heavy duty roll laminator, users can now make theirposters, banners, signs, blueprints, maps, tradeshow graphics, etc. protected and visually appealing.Up to 3.0 mil NAP I roll film is the recommendation for GBC Ultima 65 roll laminator. Swingline GBC Ultima 65 roll laminator takes about 10 minutes to warm-up but once ready,can easily laminate up to 10 feet per minute. With the top notch results that this GBC ultima 65 roll laminator produces and the easy to use operations make this GBC laminator quite popular among other GBC roll laminators and therefore serves its purpose best in schools and universities. The GBC HeatSeal Ultima 65 roll laminator holds a limited 90-day warranty and is one of the safest and most reliable laminator out in the market. Q: How long am I entitled to warranty for GBC Heat Seal Ultima 65 Roll Laminator? A: GBC heat seal Ultima 65 comes with 90-day limited warranty. Q: Can I laminate photographs with Ultima 65? 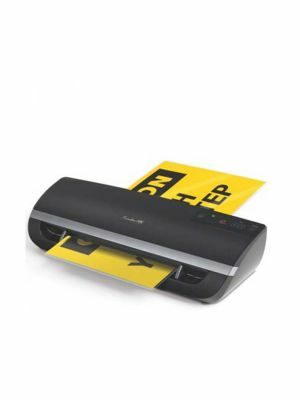 A: It is suggested not to laminate thermal sensitive items as they can get damaged although you can see plenty of laminators with cold lamination at www.paper-machines.com. Q: Does the GBC Ultima 65 consist of rear trimmer? A: Yes! Ultima provide you the facility of rear trimmer eliminating excess lamination. Q: Which film supplies should I consider for my GBC Heat seal Ultima 65? A: GBC Heat Seal Ultima 65 accommodates standard school film NAP I and ultima 65 EZload film. Q: How thick should my film should be for Ultima 65? A: The maximum thickness for quality lamination, Ultima 65 utilizes is 3 mil.